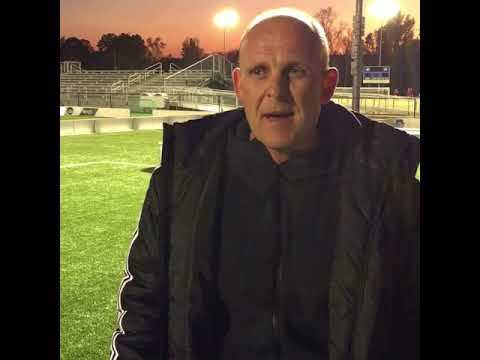 Charlotte Soccer Academy Execuitve Director Brad Wylde has been using our Revolutionary Soccer Rinks and Arenas in their practices for six months now. He told EUHERE Sports he likes making use of the products because they help develop skills and they make for a more fun scrimmage. "We’ve had them for the last six months. They’ve been a fantastic resource for us as far as a small, sided training environment for our younger players. It helps them to get technically very comfortable and proficient in tight areas. The most important thing I think from the boys’ perspective and the girls is that they just love to play; it makes it a very competitive environment that the game is always moving. You can play off of the boards; it’s a constant game, a lot of repetition, lots of touches, a small area as we said. So it enables us to really focus on making our players more technically comfortable, more confident, more proficient on the ball. It’s very easy to set up, very easy to breakdown. They’ve been a big factor throughout our training environment the last six months. We run a technical session every Friday and we bring these out and a lot of the players find it really enjoyable during sessions with games. We can do 2 v. 2, 3 v. 3. Obviously, the smaller ones you can get some 4 v. 4 in here." Learn more about our Revolutionary Soccer Rinks and Arenas.